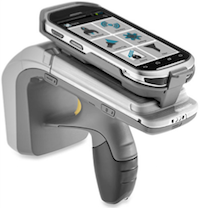 Retailers have many choices when it comes to RFID reader infrastructure, from handhelds, fixed, POS, overhead, and more. Here we help sort through the choices, to figure out which one might be best for you. In part one of this series, we discuss potential use cases for retailers implementing RFID and criteria to select the best place to start. Here in part two, we look at the choices in RFID Reader Infrastructure. 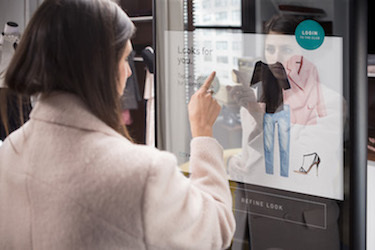 Once a retailer decides on a compelling use case, s/he will select a solution provider and solution components, which includes RFID tags, readers, and software. While not a focus of this paper, there are many important decision points for both tags and software. For example, the decision on tags includes whether to use a paper tag vs. a hard tag (which may be integrated with an EAS tag) vs. a sewn in tag. Choosing the right software application requires an evaluation of many other factors—functional footprint, integration capabilities, user experience/ease-of-use, cloud vs. on premise, and so forth. 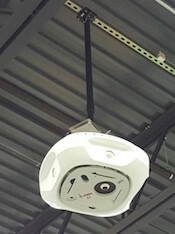 Robots and drones—A new approach in early stages of development involves mounting an RFID reader to a drone or robot that autonomously moves throughout the retail space and takes inventory by reading all of the tags, typically at night when the store is closed. These devices are more speculative than the others previously mentioned and are only now making their way into early stage proof-of-concept projects. Figure 1 below shows the different reader approaches covering a range of levels of current maturity and cost. a collective knowledge has been amassed of the process changes and requirements (e.g. store associate training and compliance monitoring in the case of handhelds) needed for effective rollout and realization of value. 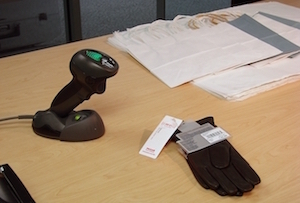 By these criteria, handheld RFID readers are the most mature within retail, having reached widespread use several years ago, and require the least up front capital expense and technology implementation time and effort. Fixed RFID readers for door portals and zonal reads are starting to be used more in retail,4 typically in combination with handheld readers. 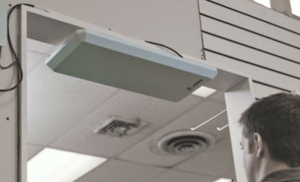 They can cost more than handhelds, but less than covering an entire store with overhead ceiling-mounted readers. Overhead readers to cover the whole store or sections of the store are receiving a lot of attention right now and there are a few retailers in pilots or very early stages of rollout. 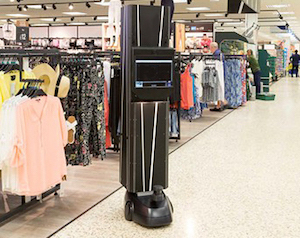 We expect it will take a couple more years before overhead readers reach maturity in retail settings, but their potential to cost-effectively automate and transform existing handheld-based processes is significant. Besides maturity and cost, there are other key differences between these infrastructure technologies, such as how ‘real-time’ the data is, the amount of associate labor and training involved, flexibility when store layouts change, impact on inventory accuracy, and other characteristics. These factors are important in determining what each technology is good for and where in the roadmap they fit. In part three of this series, we provide guidance on a roadmap to RFID value for retailers—figuring out where to start and the best logical sequence of RFID use cases and infrastructure.